Just last year, Eric Revis released Crowded Solitudes, an exhilarating romp through the corridor that stretches between the mainstream and the avant-garde. Between Gerald Cleaver’s powerful drumming, Kris Davis’s explosive piano acrobatics, and Revis’s dynamic bass-work, the trio had hit upon a winning formula that could’ve easily sustained them for a few years more. On his latest, however, some key changes have been made that, far from stripping the group of what made it so appealing in the first place, have only served to make their sound even more thrilling and robust. First of all, Chad Taylor has come on board to take Cleaver’s old spot - Cleaver will be missed, surely, but Taylor is a more than adequate replacement, utilizing a responsive and subtle approach that works well to contain the fiery attacks of the piano and sax. With regards to the sax, that’s the second of the key changes: Chicago maestro Ken Vandermark has been brought into the fold. 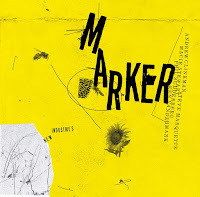 Vandermark is in no need of an introduction and, if you’re like me, his involvement in a project is reason enough to give that project a shot. In expanding the group to a quartet, Revis has simultaneously expanded its range of possibilites - timbral, rhythmic, and otherwise. Are those possibilities fulfilled? Let’s see. One of the best aspects of this project lies in the rather egalitarian way it’s been put together: each player has compositional credit. As such, Sing Me Some Cry represents something of a prism through which each player’s unique qualities can shine through. 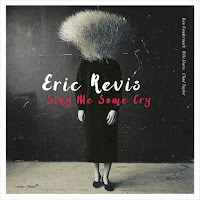 The title track is a precursor of sorts, Revis’s flurries cascading down as the other players lurch into wakefulness. “Good Company,” the de facto opener, is a bouncing slice of post-bop - here, Kris Davis largely adheres to a conventionally melodic line, with occasional excursions into more frantic territory. Revis and Taylor are the rhythmic stalwarts, with Taylor in particular maintaining a relentless swing that, once Vandermark starts up, serves to keep the train on the tracks. 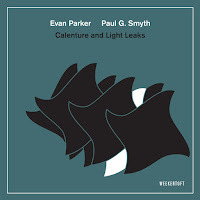 In some ways, it sounds as if Vandermark and Davis spur each other on; like a two-cylinder engine, their power lies in the way that they conjoin, alternate, and amplify what the other is doing - it’s a twin attack, and it’s a joy to hear. “Pt 44” calls to mind an Andrew Hill composition with its laconic central melody, skeletal drum-work, and distinctly enigmatic air. Once again, Vandermark and Davis seem to be engaged in a mad race, but not just them - Revis too joins in, his thudding notes like so many stones dropped into a pond. “Rumples” showcases Revis’s superb rhythmic sense; marrying himself to Taylor’s sinewy beat, he produces a series of thick, luxurious grooves that would sound positively out-of-place if they weren’t so damn effective. 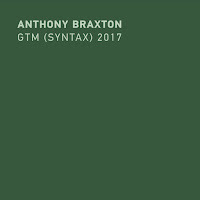 Not all of the tracks are wild dashes, however; “Solstice...the Girls (for Max & Vivi)” finds the group in a more contemplative state, the whole piece guided by a vaguely martial rhythm that, due to Taylor’s light touch and Davis’s plinking repetitions, resembles a toy music-box. Revis lends his exquisite bass-work to the beginning of Davis’s “Rye Eclipse,” a piece that had previously appeared on Davis’s album of the same name. Here, the piece more than ever seems cast in an ominous glow - the near-mechanistic stride that Davis, Taylor, and Revis lock into is mesmerizing in its relentlessness, and it grows increasingly intense until the entire thing seems on the verge of collapse. Overhead, Vandermark spirals and screeches, a carrion bird encircling the wreck. Not for the faint of heart, definitely. With Sing Me Some Cry, Revis has once again shown himself to be one of the finest bandleaders around - not only does he surround himself with stellar musicians, but he provides them with the freedom and opportunity to explore the various compositions in the ways they see fit. 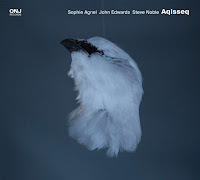 Whether you like jazz that swings, screeches, or (as on the final track, “Glyph”) swoons, Sing Me Some Cry has you covered. Highly recommended! Great review, Derek. Revis has become such a great band leader, and he's assembling this rotating cast (like Vandermark and Taylor, who've been on his prior quartet and quintet records) that just clicks. I'm really looking forward to this one, it sounds fantastic. 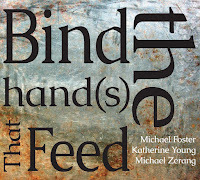 Reviewed this for the upcoming issue of Jazznytt, and I concur, it's really terrific. I've previously been really captivated by his trio albums in particular, but this one is equally fascinating and riveting. Such a tremendous bassist, and a gifted composer/leader to boot.